Entrepreneur who has headed the network of retail stores Magazine Luiza and all other affiliated companies. She has over 50,000 followers on her luizahelenatrajano Instagram account. She graduated with a degree in law from Faculdade de Direito de Franca in 1972. 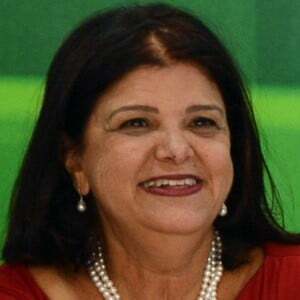 She was awarded the Grand Cross of the Order of Ipiranga by the Government of the State of São Paulo in 2017. She married Erasmo Fernandes Rodrigues in 2009. They have a son named Frederico Trajano Inacio Rodrigues. She and Mitchell Craske have both carried the Olympic Torch.